T.J. Dillashaw may be fighting as a flyweight for the first time ever in January but betting experts have instilled him as a heavy favorite against champion Henry Cejudo. On Thursday that long rumored matchup between the two UFC champions came together with Dillashaw dropping down to 125 pounds to challenge for a second world title. 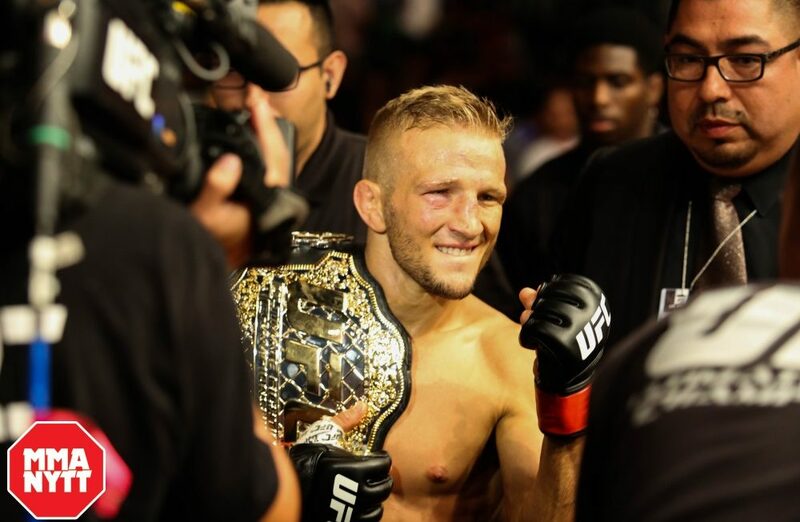 Dillashaw has been pursuing a flyweight title shot for nearly two years after he attempted to face Demetrious Johnson on short notice back in 2016. Ever since that time, Dillashaw has said he would love the chance to compete for a second world title by dropping down to the flyweight division. Now he’s getting that opportunity and the odds makers at Ohmbet.com have made Dillashaw a heavy favorite in the fight against Cejudo. The current odds for the fight make Dillashaw a -233/1.43 favorite with the comeback on Cejudo at +200/3.00 as the underdog. Cejudo just became champion back in August when he defeated former flyweight king Demetrious Johnson by split decision. This fight against Dillashaw will be the first defense of his flyweight championship as Cejudo looks to cement himself as one of the pound-for-pound best in the sport while taking on the bantamweight champion at UFC 233. Obviously odds could change between now and the fight but for now there’s a lot of faith in Dillashaw dropping down a division and walking out with a new championship around his waist come Jan. 26.